RSS is committed to conducting all business activities in a responsible manner, which assures the health, safety and security of people, preservation of the environment, quality of the product/services and compliance with all applicable health, safety, environmental, security, legal, quality and regulatory requirements in countries where we operate. RSS requires an active commitment to HSEQ from all our people and contractors in all work activities. Our country specific HSEQ teams monitored by our group HSEQ management) are responsible and accountable for ensuring compliance with all HSEQ policies and procedures and our Corporate HSE and Quality Policies. We will always communicate openly on HSEQ issues with our stakeholders and share with them our experience and knowledge of successful HSEQ initiatives. The Company will strive to mitigate the impact of any foreseeable hazards, which may endanger health, safety and the environment, or could affect the quality of products and services it provides. This will be achieved through formal risk assessments as required per Company Policies and Procedures. RSS strives to provide the highest quality of food, reliability and effectiveness in prepared foods, while continually meeting or exceeding our clients’ expectations. We will exceed the expectations of our customers by providing superior food quality and exceptional service. Products and services are monitored through continuous management participation and customer response. 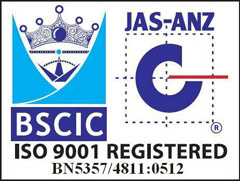 RSS has implemented a Quality Management System and attained the prestigious ISO 9001 certification to provide assurance to all our valued clients. RSS acknowledges the moral, legal and financial responsibility to protect and safeguard our employees and other persons affected by our activities against occupational risk to their health or safety arising from any of the operations associated with the company. Our health and safety policy sets out the commitment of the company to a healthy and safe work environment. It defines the organisation and how it manages health and safety, thus assisting all involved to create the requisite environment. As a minimum, the company will comply with all relevant legislation, as well as industry standards. We take all reasonable precautions and exercise due diligence to ensure that all our sites comply with our policies and procedures. Health and safety representatives and committees are appointed to oversee the health and safety function in the workplace. First aiders are trained and appointed to provide initial/emergency treatment while waiting for professional medical assistance to arrive. Employees are trained in the implementation of health, hygiene and safety processes, practices and procedures, including HACCP-aligned food handling processes in our catering operations. Daily, weekly and monthly inspections take place to monitor compliance. Non-conformances are reported and corrective action taken. Sites are visited by internal and external HSE consultants and auditors as appropriate, and receive regular feedback from company and client management to ensure accountability. Reinforcement takes the form of follow-up training, on-the-job training and regular health and safety awareness tools such as posters, newsletters and toolbox talks. A HSE induction and handbook is available for all our sites. It includes all the necessary instructions, checklists, strategies and reporting chains to establish a comprehensive and practical HSE programme for any site. Regular health and safety compliance audits are conducted by an external, objective party according to the documented processes of ISO 22001. Microbiological testing on food samples and swabs is conducted by an external, objective party according to maximum acceptable levels as defined by legislation. Accidents and incidents are reported and investigated and as far as reasonably practicable, measures are initiated to prevent re-occurrence. Our health and safety practices in the catering outlets are process driven. All processes are HACCP (Hazard Analysis Critical Control Points) aligned and documented. Our industry faces the realities of intermittent management absence, labour turnover and a semi-skilled workforce. The adoption of a process-driven approach ensures consistency in the application of health and safety practices and procedures. Our policy objectives include ensuring that all food supplied to, or delivered within and by the company is stored, handled and transported in accordance with the relevant legislative requirements, and that all premises used for the preparation of food are registered with the appropriate local authority and meet our ISO certification requirements. Our sites and kitchens are expected to have appropriate and adequate management systems and controls in place, commensurate with their type of food provision. All risks associated with food provision have to be reduced to a tolerable level. All food handlers must be competent to undertake their duties in accordance with the requirements of our policy. RSS is committed to provide training and development needs as appropriate for each individual’s duties and responsibilities – this will always include HSEQ training. Camp managers are responsible for ensuring that appropriate training is given and individual competency evaluation is conducted as per the Company’s standards. This is critical to the continuous success of our business as it allows us optimise our Company performance and adds value for all our stakeholders. Many of our clients, in particular the oil and gas industry, have systems that guide health and safety in their organizations. In cases where we are contractually obliged to adopt our client’s systems, we will take the necessary steps to comply. In addition to ensuring client peace of mind RSS has registered and undergone rigorous assessments by well-established external contractor verification organizations like ISNetworld and PICS.